About Us | Hydro-Clean Services, Inc.
Hydro-Clean Services Inc. opened in January, 1991. Our founder’s name is Joey Hilliard, and he still serves as president of the company. Throughout the years, our staff has grown and we are so proud of the team that we have gathered together. Through hands-on experience and a wealth of knowledge, we now possess a highly-skilled team of cleaning experts. Together, we are confident that we can provide superior results for any job that comes our way. Hydro-Clean Services, Inc. is a full-service pressure washing company that specializes in pressure and soft washing services. 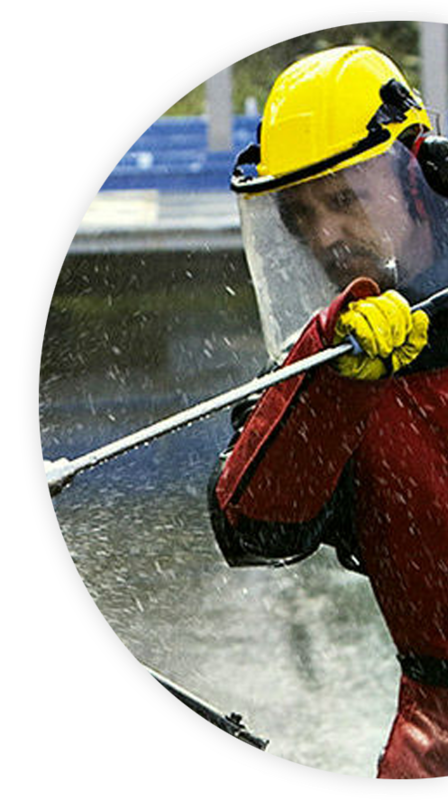 We offer exterior cleaning services on residential, commercial, and industrial properties. One advantage is that we work on job sites that other pressure washing companies often will not engage. We have the expertise and safety training to work on areas that many people find intimidating. Furthermore, we are fully licensed with Worker’s Compensation; therefore, we ease the minds of our clients by ensuring that we follow all safety precautions necessary to complete each job satisfactorily, and beyond. Our home office is located at 1350 Park Street in Beaumont, Texas, and our phone number is (409) 832-3411. We look forward to hearing from you and finding out the various ways that we may be of service to you.